The Law Offices of David Guy Stevens, LLC has attorneys with a combined 100 years of experience defending criminal felony and misdemeanor cases. Having a misdemeanor and/or felony conviction on your record can negatively affect your current and future employment opportunities. We will work with you to avoid any conviction on your record, and take the case to trial if it is in the best interests of our client. For criminal defense the Law Offices of David Guy Stevens, LLC knows every case is different and every client deserves and receives special attention. From traffic tickets to murder, David Stevens knows the court system and fights for his clients’ best interests through every step in that system. 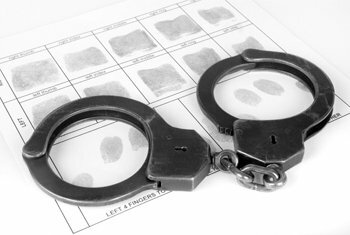 Becoming involved in the criminal justice system can be a frightening and intimidating process. Should you become involved in the criminal justice system it is important to involve an experienced criminal defense attorney early in the process, preferably as soon as you know you are being investigated or the police make contact with you. Many crimes now carry mandatory jail or prison sentences and the United States has a higher incarceration rate than any other industrialized country. It is important to protect your rights as early in the process as possible and you should not answer any questions of the police or investigators before speaking with an experienced criminal defense attorney. Call the Law Offices of David Guy Stevens, LLC for answers to your questions from investigation to expungement. It is important to consult an experienced criminal defense attorney as soon as possible when you are involved in the criminal justice system. An experienced criminal defense attorney can help you navigate the system and ensure that your rights are protected throughout the process. David Guy Stevens, a former criminal prosecutor, can be reached in Aurora, Naperville, Joliet, Elgin, and Chicago Illinois.